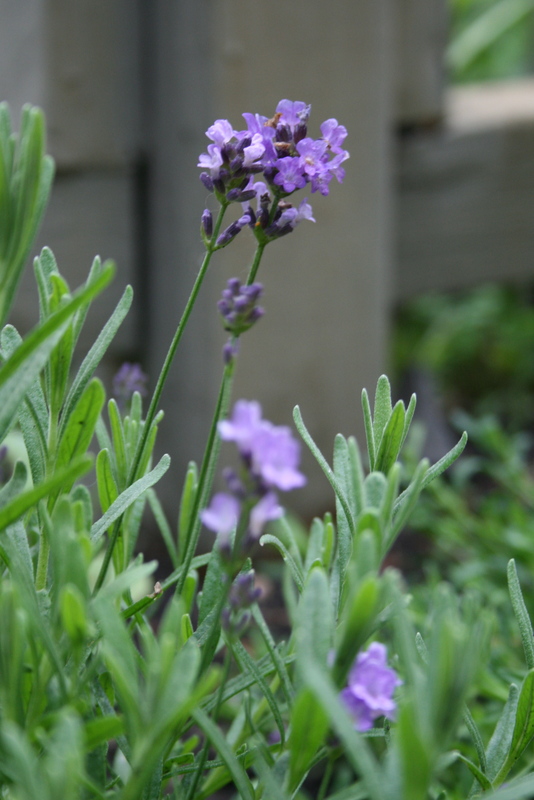 Last spring I discovered our harsh winter had been too much for my lavender. This is the life of a gardener. and planted them in a new, more sheltered garden location. may have been an issue for the perennials. Time will tell and fingers crossed! Last spring I discovered my very large lavender and rosemary plants succumbed to our long severe winter, also. While disappointing, like you say, it allows for a new fresh start! What method do you use (seed, cuttings) for starting new lavender plants? When I pruned mine back in Feb. I stuck the cuttings in moist potting soil in a pot, then covered with a plastic shopping bag. I put them in a cool semi-bright place in the house and now (6 weeks) later, they have lots of new growth forming! I do this every year with hydrangeas, raspberries, lavender and other plants with great success. It’s so fun to increase your own inventory and have lots to share with others! Hopefully, your plants will pull through in fine style!!! Thank you for your inspiring blog. So far I have started mine from seed. I would like to do more propagating plants in the future. I usually do a tray or two of sedums each year to spread around the garden… (my garden still is relatively new) so I’m still adding to it each year. Thanks for your great tips and kind comments! Love to chat garden with my garden friends! Do you cover any of your plants over winter? No, I have never covered my plants Claire, as we generally have sufficient snow cover to insulate them. We hardly had any snow this year, just extremely cold, below normal temps….I may have to start doing so (covering plants) next winter. Do you cover your plants? What works best for you? I hope you have good luck and they come back. I never seem to have any luck with lavender myself. They’re beautiful plants, though. We are zone 4 here, so Munstead is the only variety that I have been growing….the last 2 winters it’s been more like zone 2 or 3 climate!!! I may try to keep some in pots this year…maybe I can hold them in the greenhouse for the winter? Thanks for popping by the garden! Happy 2015! I wanted to let you know how much I enjoy your beautiful blog and mention that I nominated it for the One Lovely Blog Award. Please accept only if you want to as I will not be offended if you don’t have the time. Details on my blog Flirting With Dirt (www.FlirtingWithDirt.com). Wishing you a Happy Spring! Your blog has been a favorite of mine ever since I stumbled upon it…your photography always stunning and I study your images!